The figures are staggering. 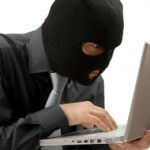 Close to 1 million laptops stolen each year. More than 12,000 laptops are left in airports each year. Our, always on, mobile lifestyle is causing those figures to skyrocket. Loosing a device costing close to $2,000.00 can be a jolting experience, but the loss of data and identity can be devastating, even life changing. 97% are never recovered. Recover your laptop or netbook now, with PC Matic.